N. Alan Pettit sends a $100.00 donation to the Berry Schools in honor of their 25th Anniversary and thanks Miss Berry for the calendar he received. 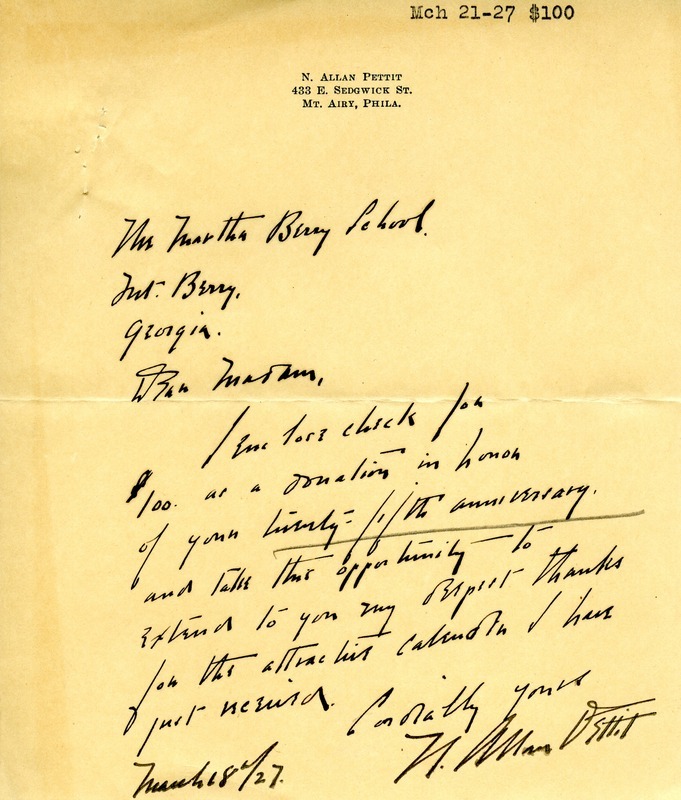 N. Alan Pettit, “Letter to Martha Berry from N. Alan Pettit.” Martha Berry Digital Archive. Eds. Schlitz, Stephanie A., Jessica Hornbuckle, Kelli Kramer, et al. Mount Berry: Berry College, 2012. accessed April 25, 2019, https://mbda.berry.edu/items/show/5396.